Spring is in the air! Or at least in the part of the world I'm at. Finally! I'm sooo ready to take my Maltese outside for long walks and out to the park. I bet you are too. This Winter I've been working hard on something I could give to my fellow Maltese Maniacs. I decided to make a free 7 Day Maltese Dog Secrets course to reveal some of the best tips and tricks I've learned over the years with my two Maltese. It's packed full of information specifically for Maltese and their caretakers. Yapping and barking can be a big problem with Maltese, but before you try to address this issue it's important to understand there are different types of barking, and they happen for different reasons. Along with body language, barking is a way for a dog to communicate. Barking can be used to communicate boredom, fear, frustration, or even excitement. Time to gear up for flea and tick season, refresh your Maltese dog's toys, and give back to some great organizations while doing some fun shopping. I've found some great Spring deals, but hurry they all expire on 3/15/2015, so get em quick! Finely ground oatmeal - Use baby oatmeal cereal or grind it yourself in a food processor. Stir the oatmeal into a bath of warm water and let your dog soak in it. Get some Allergy Itch Ease Spray now! Is your Maltese picky about his food? 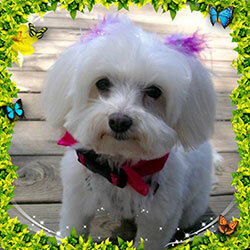 Many Maltese dogs have a hard time finding a food they like. Here are some tips from other Maltese Maniacs and what dog food worked for them. 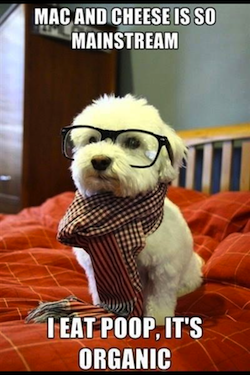 If you have some extra time, your Maltese will thank you for it! Connect with over 5000 Maltese dog lovers, submit pictures and videos, and brag about your little ones.